The source for staying in the know with happenings in our DCS Sunday Newsletter. Sign up today! 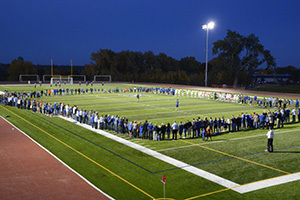 Being a part of the Denver Christian community is truly something special. We are a loyal and multi-generational group of students, parents, grandparents, alumni, alumni who are now parents, alumni who are now grandparents, teachers, administrators, former teachers and administrators…and the list goes on! The love for this school is awesome and so is the support showed by our community. We believe that school is much more than just a place of study—it’s also an important community where they will develop self-image and self-esteem, set goals, and cultivate talents. The encouragement students encounter here will have a powerful impact on their futures. 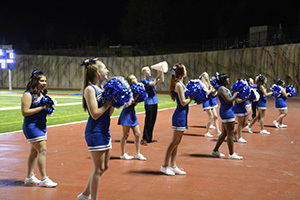 Denver Christian School has made many things possible for thousands of students over the past 100 years but it is the support around this school that has made DC possible. As our school sets its sites on the next 100 years, the ability to connect and contribute to this community is critically important. For it is the community that provides so much support: financial, physical, and spiritual, to the school. With deep roots in its Reformed vision of life and Christian education, Denver Christian School proudly, gratefully, and effectively serves students and families from different Christian denominations and more than 100 churches in the Denver metropolitan area. We hold to the ideal that a student is best educated with a firm foundation of the school, the parents and the church all working together to provide a stable foundation for a child’s faith formation, education, and personal growth. We cherish our extensive church community and come together in support of our Denver Christian families. See our list of churches represented by our students and families. At DC, we truly appreciate each of our volunteers. You are serving the Lord through our school community. 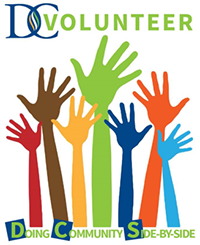 Look for highlighted volunteer needs in the weekly DC Wednesday Newsletter! Sign up to get on an “Urgent Volunteer Needs” email/text list. The Denver Christian Prayer Group meets weekly to pray for the needs and concerns of its community. Following the guidelines of “Moms in Prayer,” an International Organization praying for children and school around the world, the DC prayer group covers the school, its students, faculty, and staff with prayer. We are all lifted up because members of the community took time to pray for us.